A sewing pattern for a monster sleep/eye mask - it's a really simple pattern, and let's be honest, if I can do it, anyone can. It's got soft, plush horns that don't get in the way while you're lying on your side, and button/cabochon eyes for comfort for you while giving the mask eyes. The pattern supplies templates to print or copy onto paper by hand, instructions and a materials list. It's an immediate download, and, as with all my sewing patterns, it's 3 for 2 - add three sewing patterns to your cart and apply the code 3FOR2PATTERNS for the price of one pattern to be knocked off. And then there's Totoro! 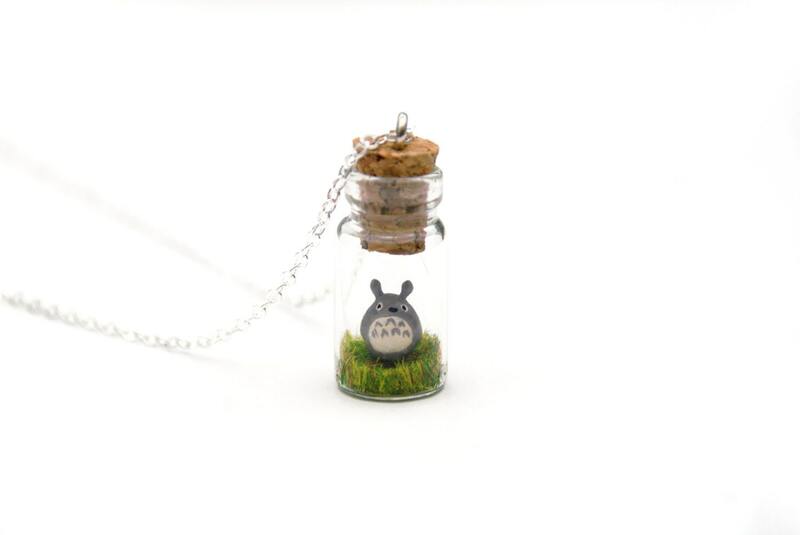 A tiny Totoro in a jar necklace, just like my other animal jars but with a cute anime twist! £18 and ships worldwide, and would make a great Christmas gift for anime lovers. Totoro is about 6-7mm, and the jar measures just under 2.5cm in height and 1cm wide. It's much, much smaller than it looks in the picture!